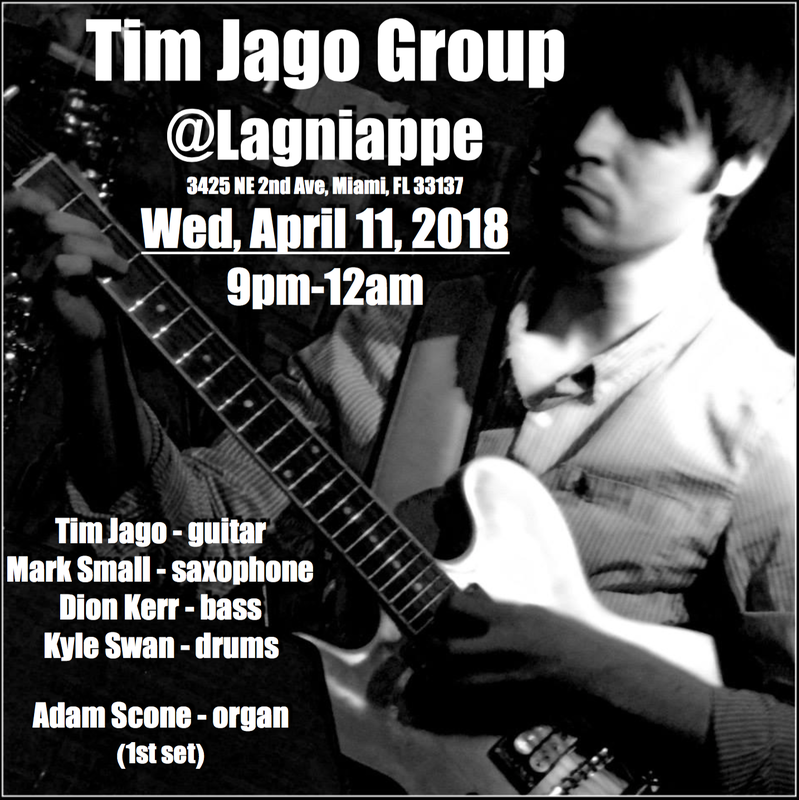 April 17, '19: Tim Jago Group plays @ Lagniappe, Midtown Miami, 9pm -12am. 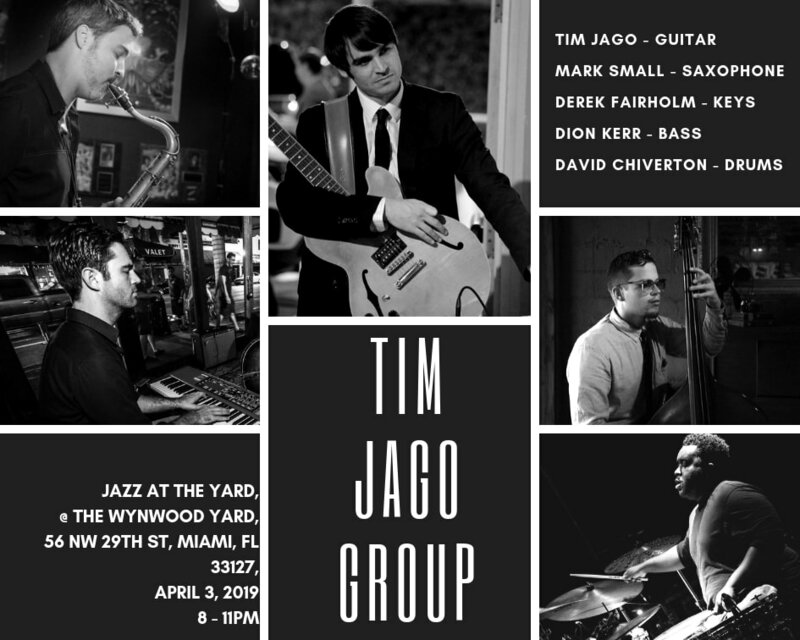 April 3, '19: Tim Jago Group plays @ The Wynwood Yard, 56 NW 29th St, Miami, Fl 33127. 8-11pm. 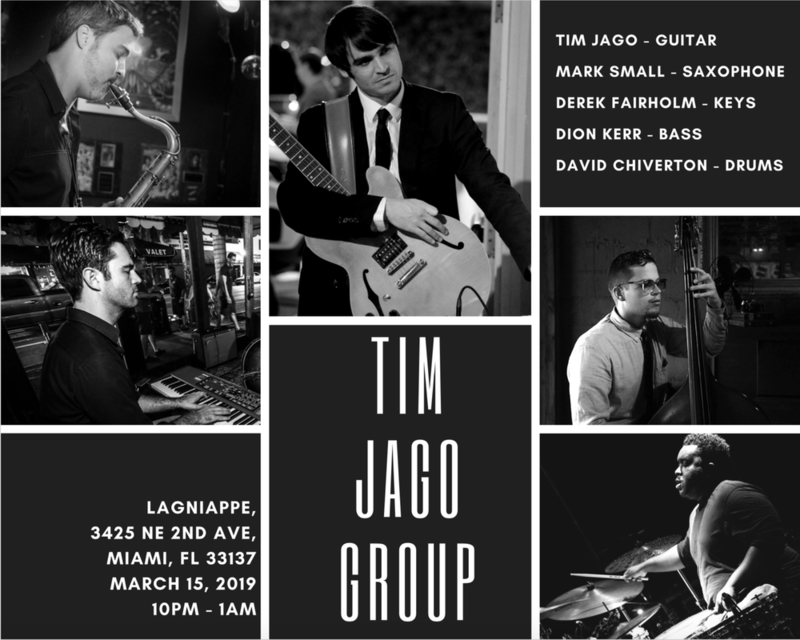 March 15, '19: Tim Jago Group plays @ Lagniappe, Midtown Miami, 10pm -1am. 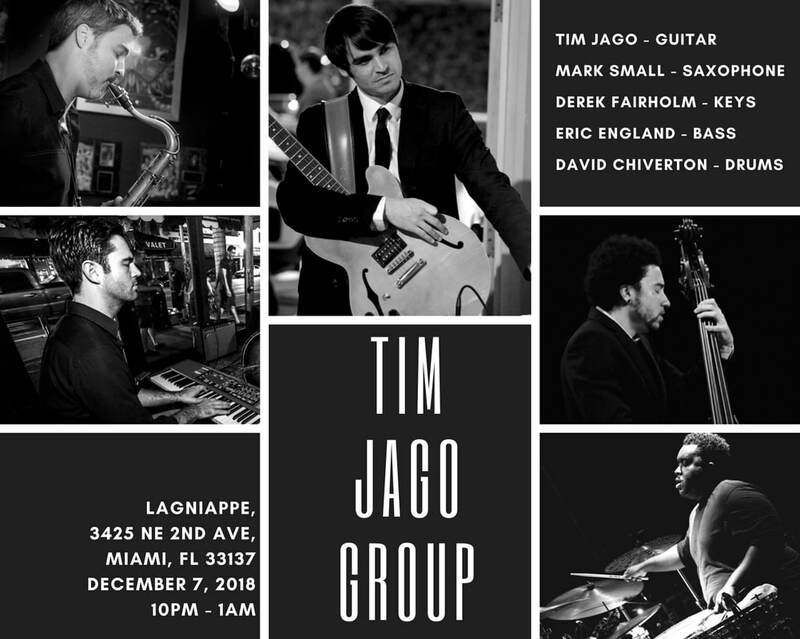 December 7, '18: Tim Jago Group plays @ Lagniappe, Midtown Miami, 10pm -1am. 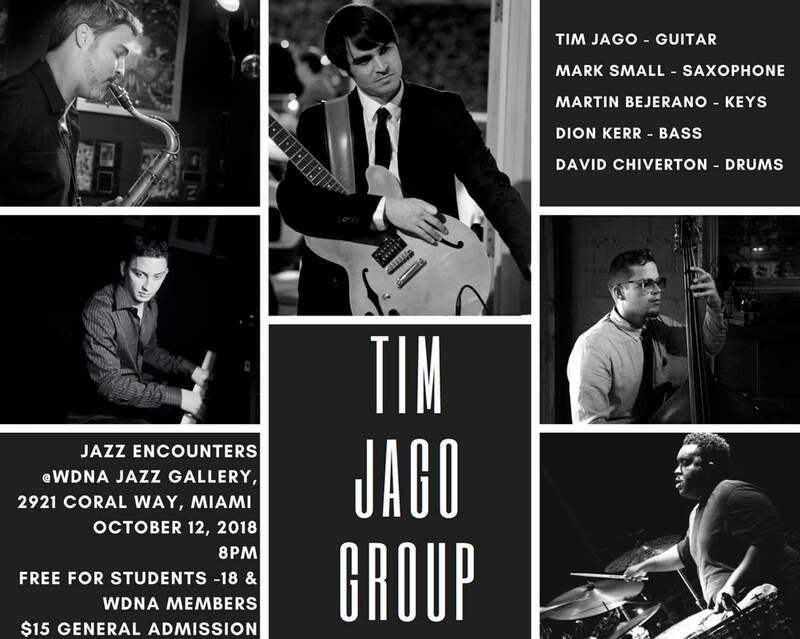 November 27, '18: ​Playing some Organ Trio..
October 12, '18: Tim Jago Group plays a concert for the Jazz Encounters series in the WDNA Jazz Gallery, at the radio station. 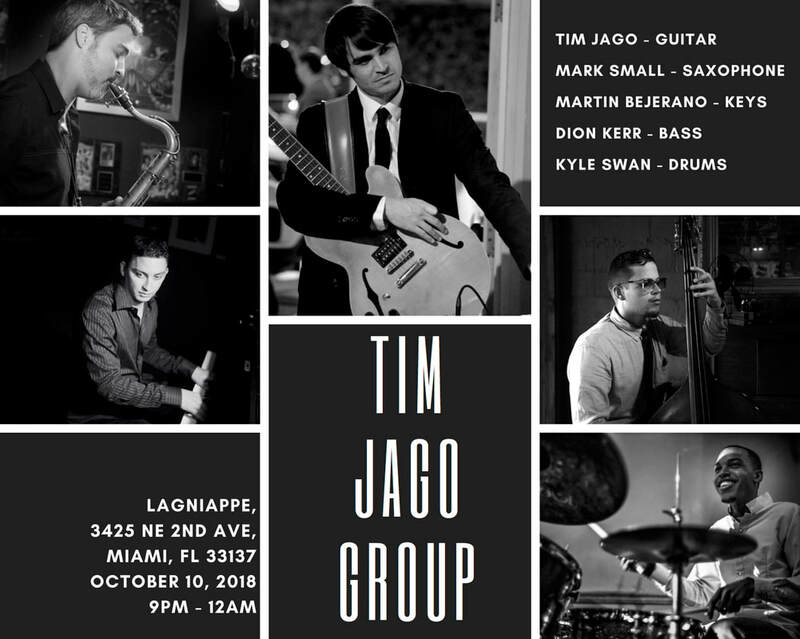 October 10, '18: Tim Jago Group plays @ Lagniappe, Midtown Miami, 9pm -12am. 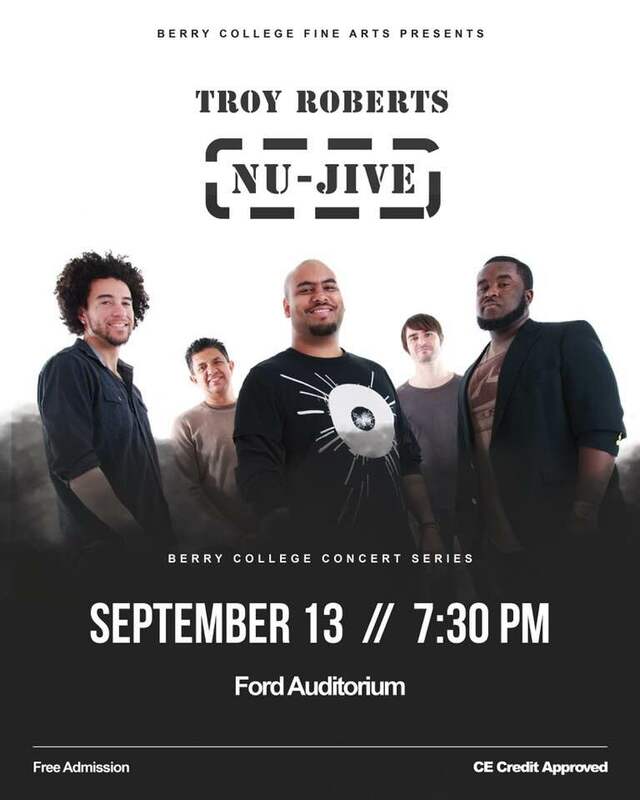 September 13 - 16, '18 : Troy Roberts' Nu-Jive on the road, playing concerts and giving masterclasses at Berry College, Rome, Georgia, and Slippery Rock University, Pennsylvania. 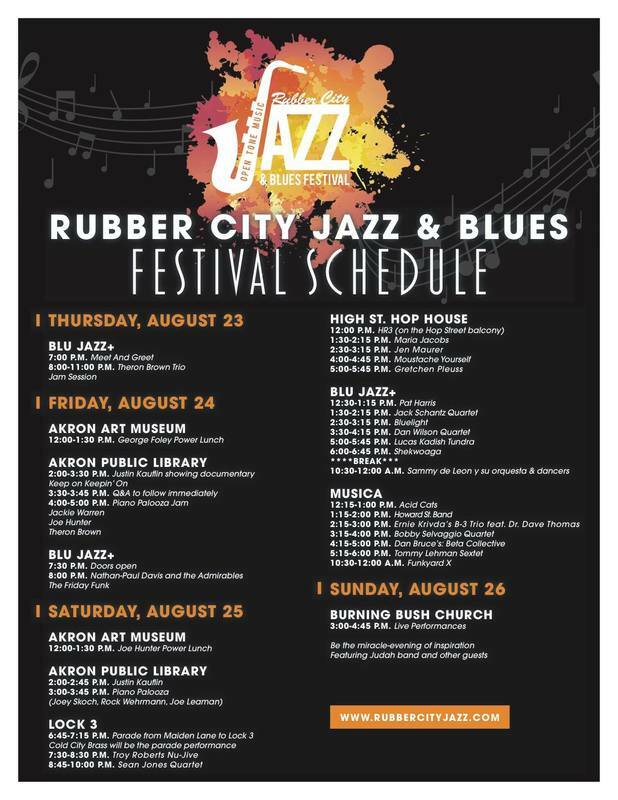 August 25, '18 : Troy Roberts' Nu-Jive performing at the Rubber City Jazz Festival, Akron, Ohio. 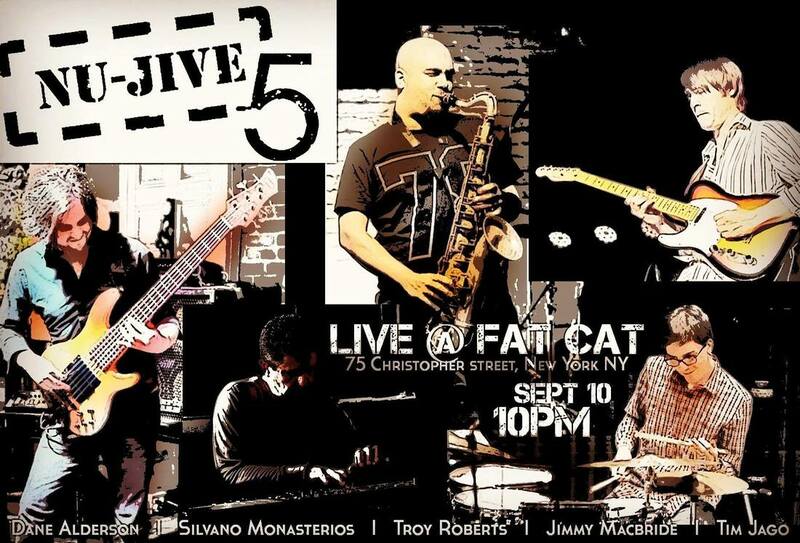 Troy Roberts - saxophone/compositions, Tim Jago - guitar, Martin Bejerano - keys, Eric England - bass, and David Chiverton - drums. 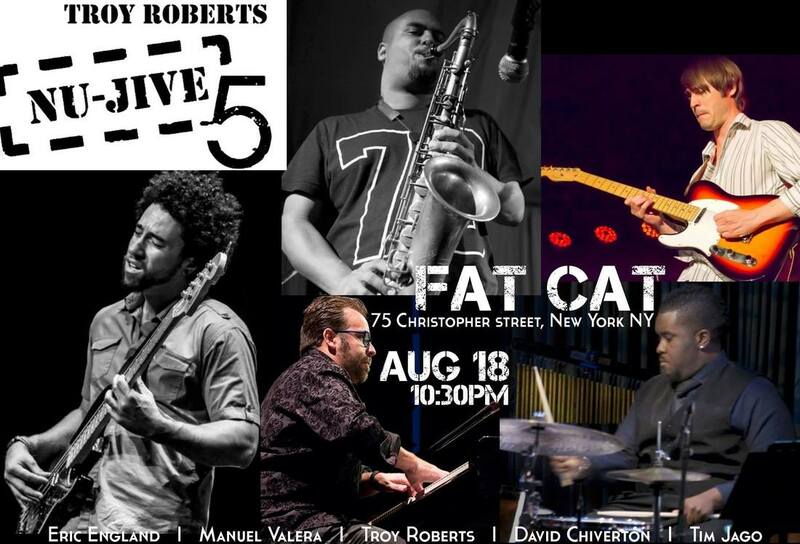 August 5, '18 : 'Troy Roberts' Nu-Jive Perspective' Album Launch at Birdland, NYC. Troy Roberts - saxophone/compositions, Tim Jago - guitar, Sivano Monasterios - keys, Eric England - bass, and David Chiverton - drums. 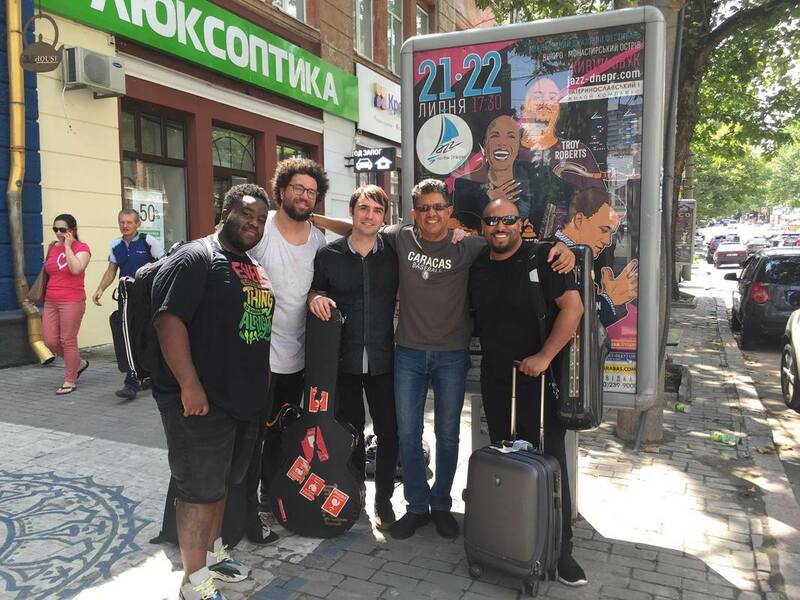 ​July 21, '18 : Troy Roberts' NU-JIVE 5 performing at Jazz On The Dnieper Festival, in Dnipro, Ukraine. 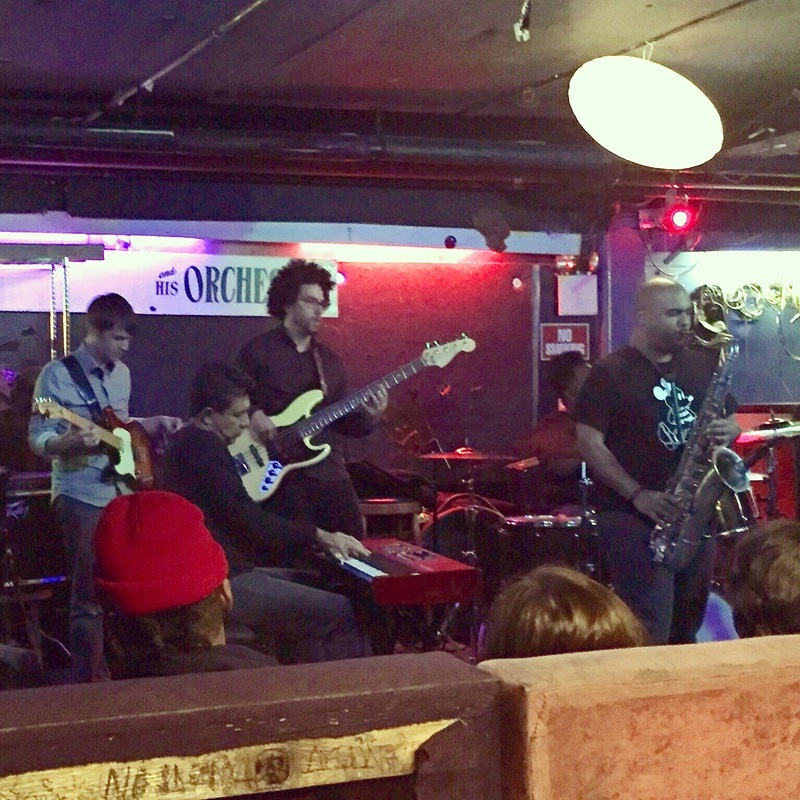 The original line-up: Troy Roberts - saxophone/compositions, Tim Jago - guitar, Sivano Monasterios - keys, Eric England - bass, and David Chiverton - drums. May, 9 '18: Tim Jago Group. Playing as guests of Connect Miami @ The Wynwood Yard, 56 NW 29th St, Miami, Fl 33127. 8-11pm. With Mark Small - saxophone, Dion Kerr - bass, David Chiverton - drums. 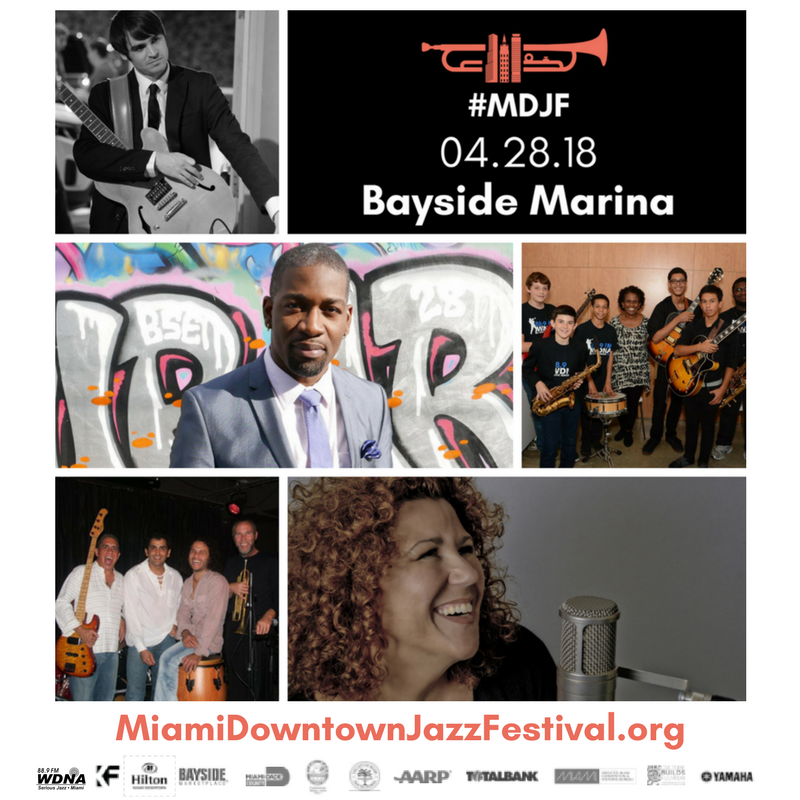 April, 28 '18: Tim Jago Group performs for the Miami Downtown Jazz Festival @ the Bayside Marina stage. 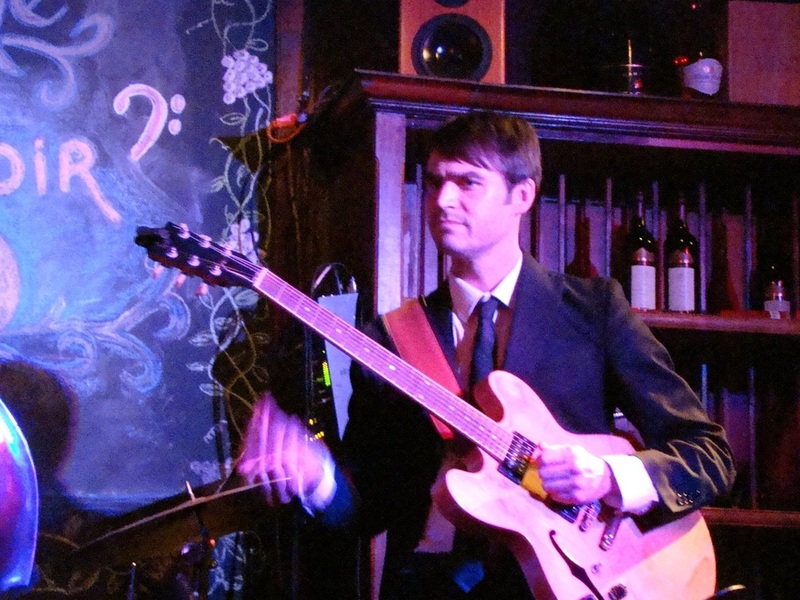 1 set starting at 1:30pm.​ With Mark Small - saxophone, Dion Kerr - bass, David Chiverton - drums. April, 17 '18: Tim Jago Group. Playing original new songs and arrangements @ The Corner, 1035N Miami Ave, Miami, FL 33136. 11pm-2am. With Mark Small - saxophone, Dion Kerr - bass, David Chiverton - drums. April, 11 '18: Tim Jago Group. 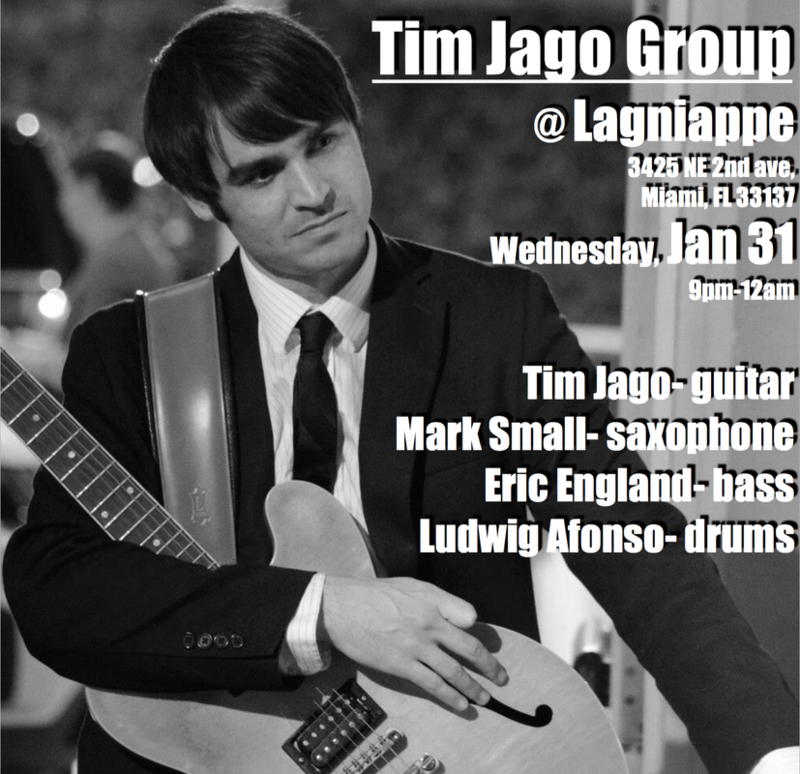 Playing original new songs and arrangements @ Lagniappe, Midtown Miami, 9pm -12am. 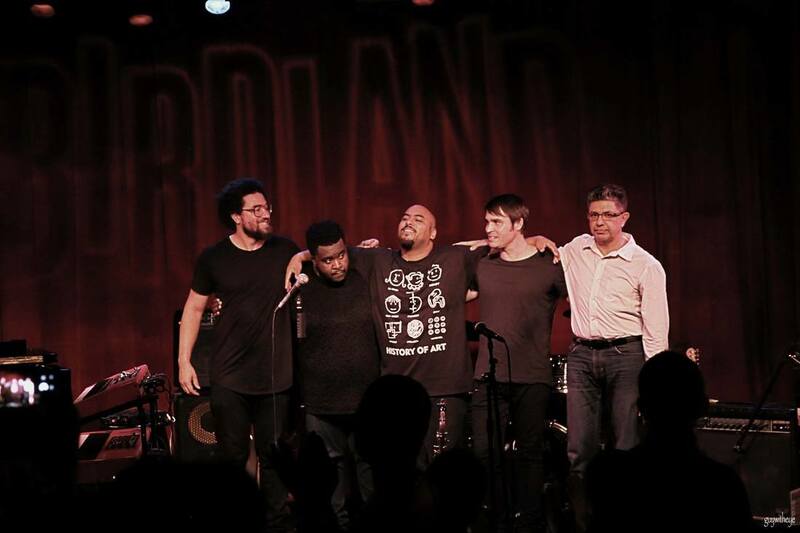 With Mark Small - saxophone, Dion Kerr - bass, Kyle Swan - drums. Jan, 23 '18: Tim Jago Group. 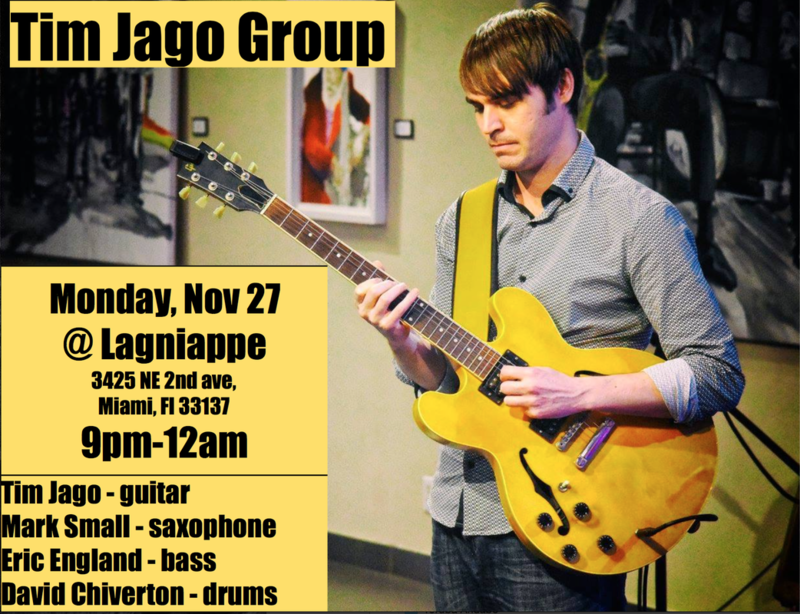 Playing original new songs and arrangements @ Lagniappe, Midtown Miami, 9pm -12am. 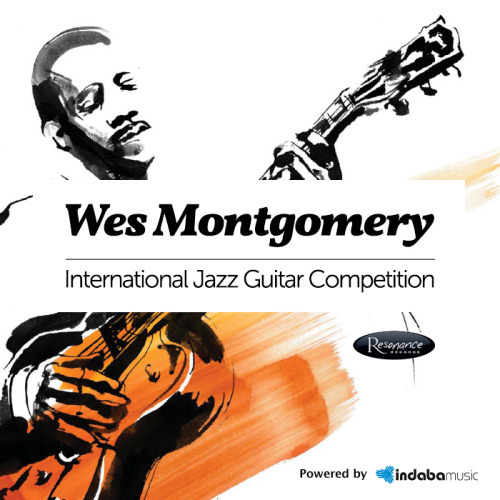 With Mark Small - saxophone, Eric England - bass, Ludwig Afonso - drums. Jan, 23 '18: Tim Jago Group. 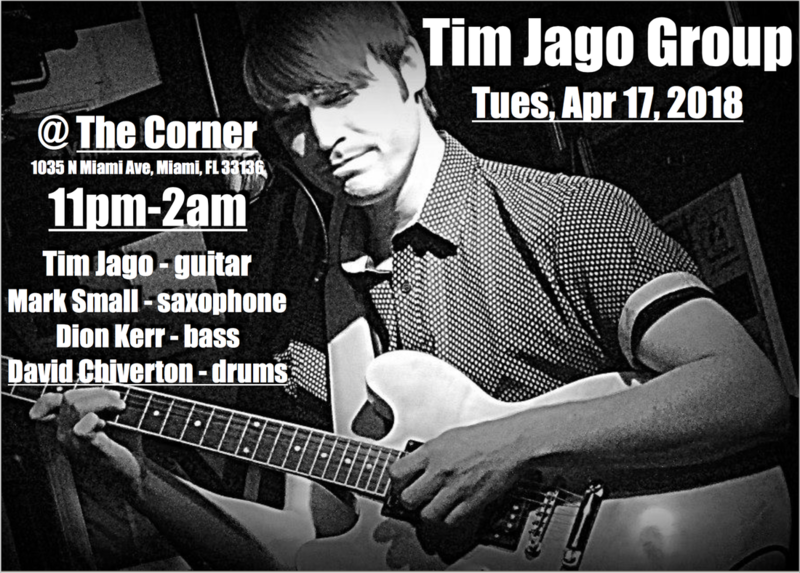 Playing original new songs and arrangements @ The Corner, 1035N Miami Ave, Miami, FL 33136. 11pm-2am. With Mark Small - saxophone, Eric England - bass, David Chiverton - drums. Jan, 17 '18: Tim Jago Group. Playing original new songs and arrangements @ The Wynwood Yard, 56 NW 29th St, Miami, Fl 33127. 8-11pm. With Mark Small - saxophone, Eric England - bass, Kyle Swan - drums. Nov, 27 '17: Tim Jago Group. 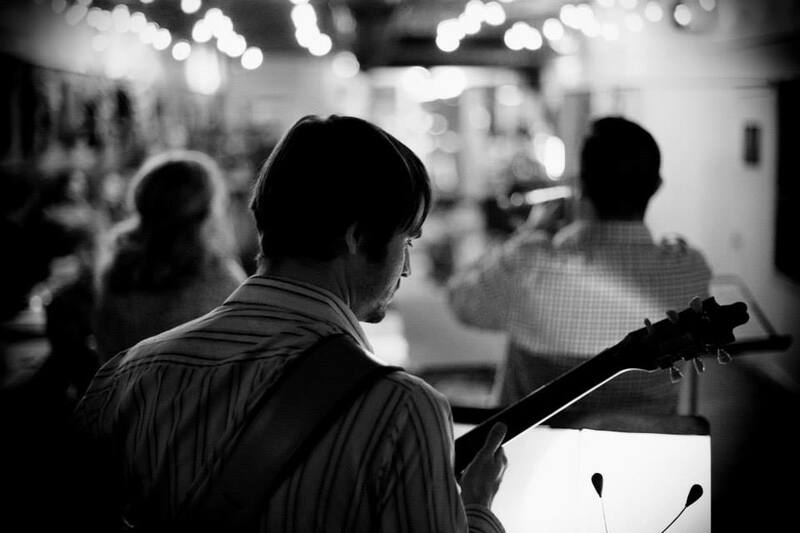 Playing original new songs and old songs @ Lagniappe, Midtown Miami, 9pm -12am. With David Chiverton - drums, Eric England - bass, Mark Small - saxophone. 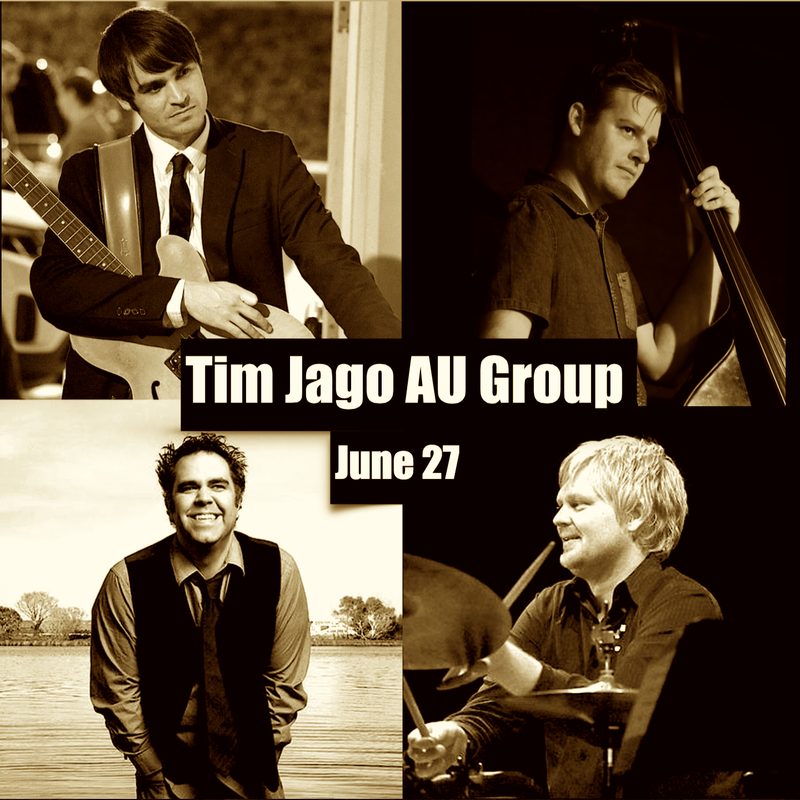 Sept, 27 '17 : Tim Jago Group. Playing original compositions and arrangements, followed by the jam session, at The Fish House, Miami, 8 - 11pm. With Mark Small - saxophone, Eric England - bass, and Kyle Swan - drums. 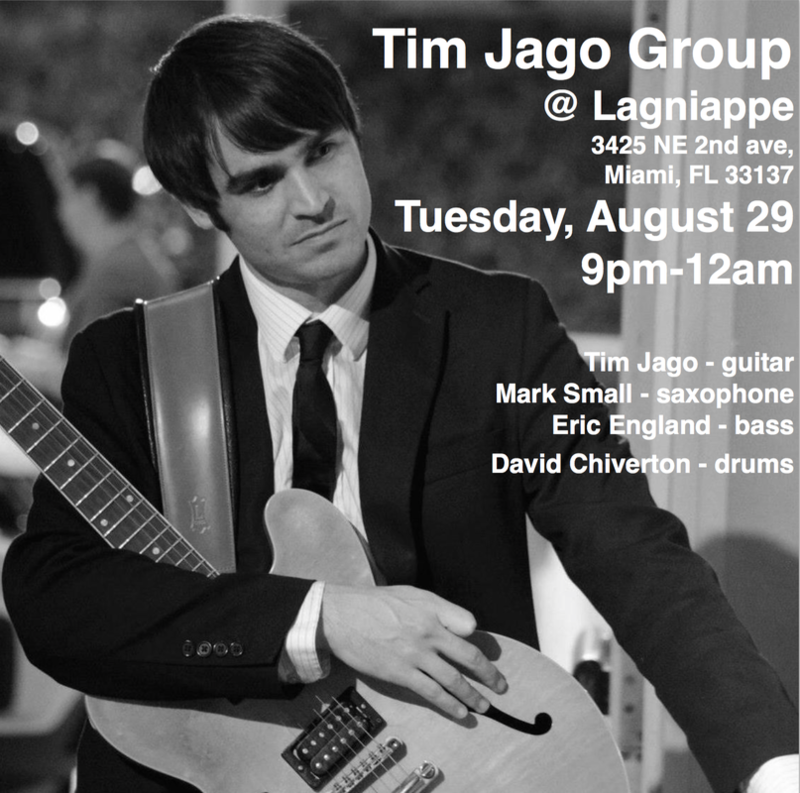 Aug 29, '17 : Tim Jago Group @ Lagniappe, Midtown Miami, 9pm - 12am. With Mark Small - saxophone, Eric England- bass, and David Chiverton - drums. 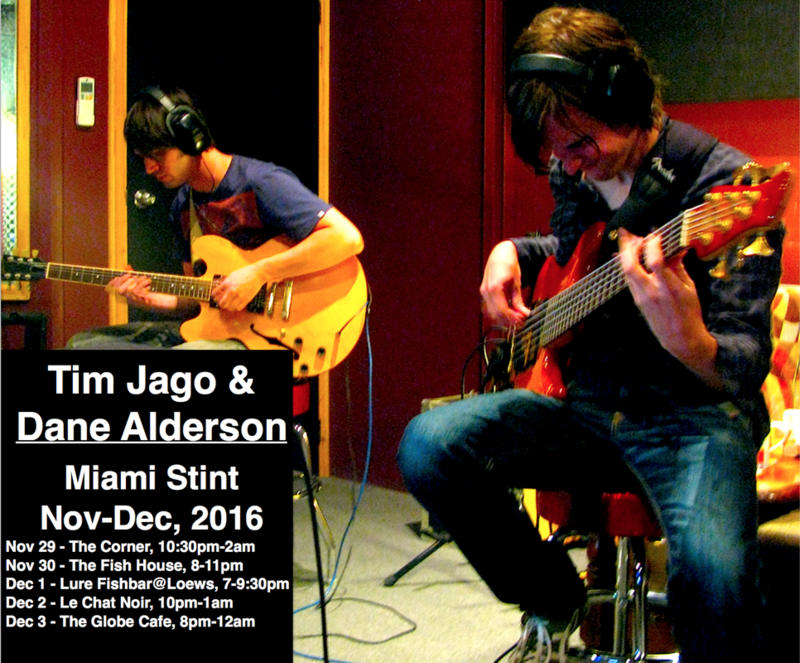 Nov 23 - Dec 3, '16 : Tim Jago/ ​Dane Alderson, Miami Stint. 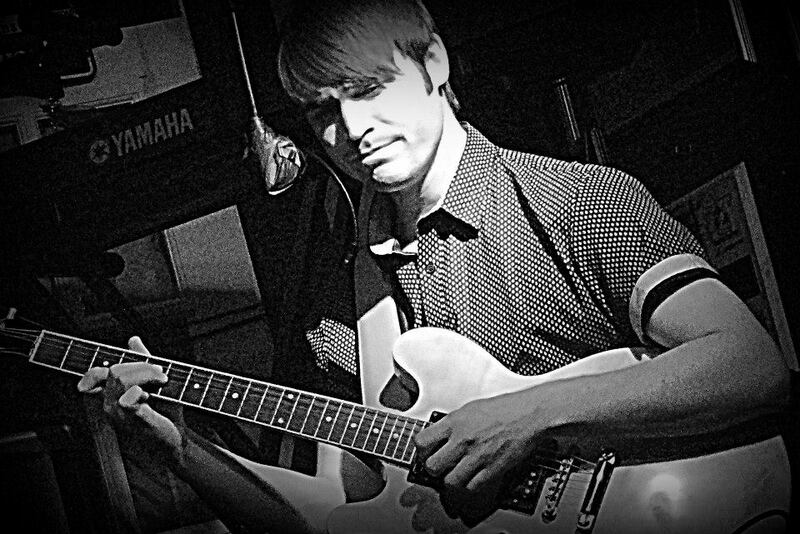 Various venues, playing original music. 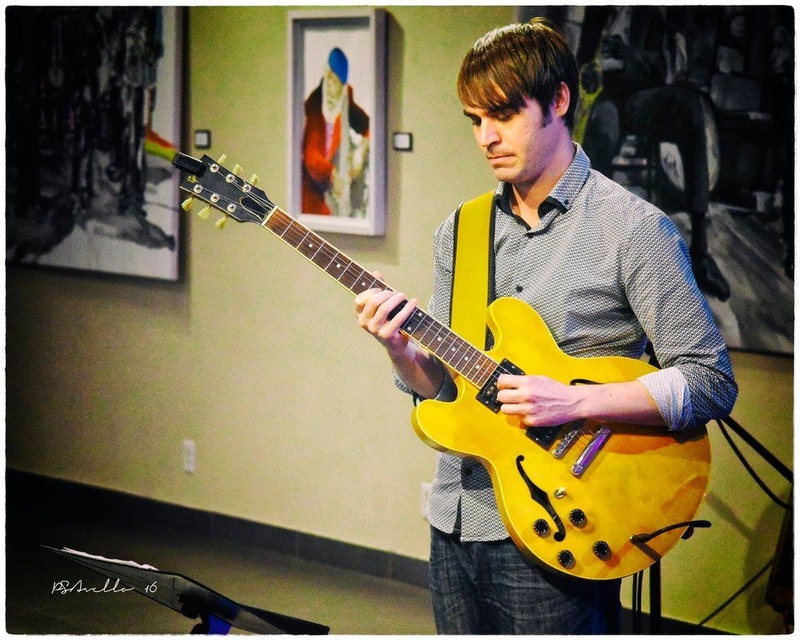 April 27, '16 : Tim Jago Quartet. Playing original compositions and arrangements, followed by the jam session, at The Fish House, Miami, 8 - 11pm. With David Leon - alto saxophone, Josh Allen - bass, and David Chiverton - drums. 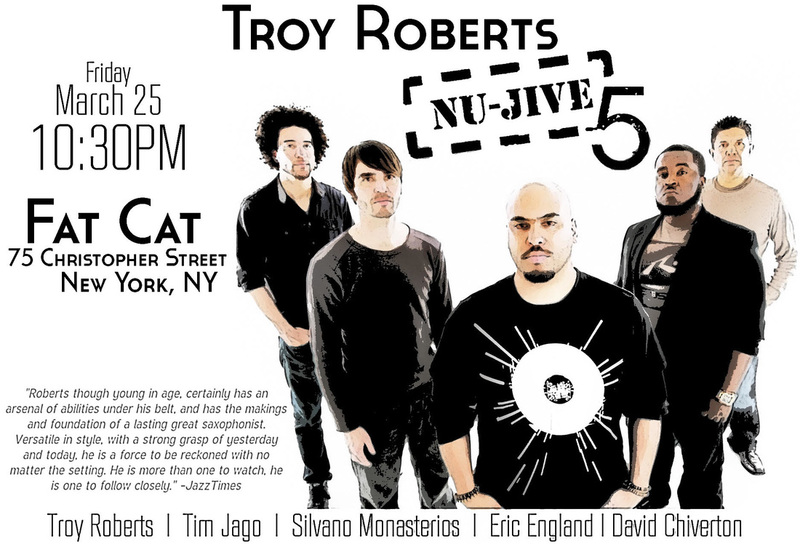 ​March 25, '16 : Troy Roberts' NU-JIVE 5 performing at Fat Cat, New York City. The original line-up. ​March 15, '16 : Playing trio at the LILT Lounge @ Epic Hotel, Downtown Miami, Florida - accompanied Eric England- bass and Harvel Nakundi- drums. March 12, '16 : Playing trio to present some suitable de-rrangements of jazz standards and original compositions @ The Globe Cafe, Miracle Mile Coral Gables, Miami, Florida - accompanied by Rodolfo Zuniga- drums and Eric England- bass. 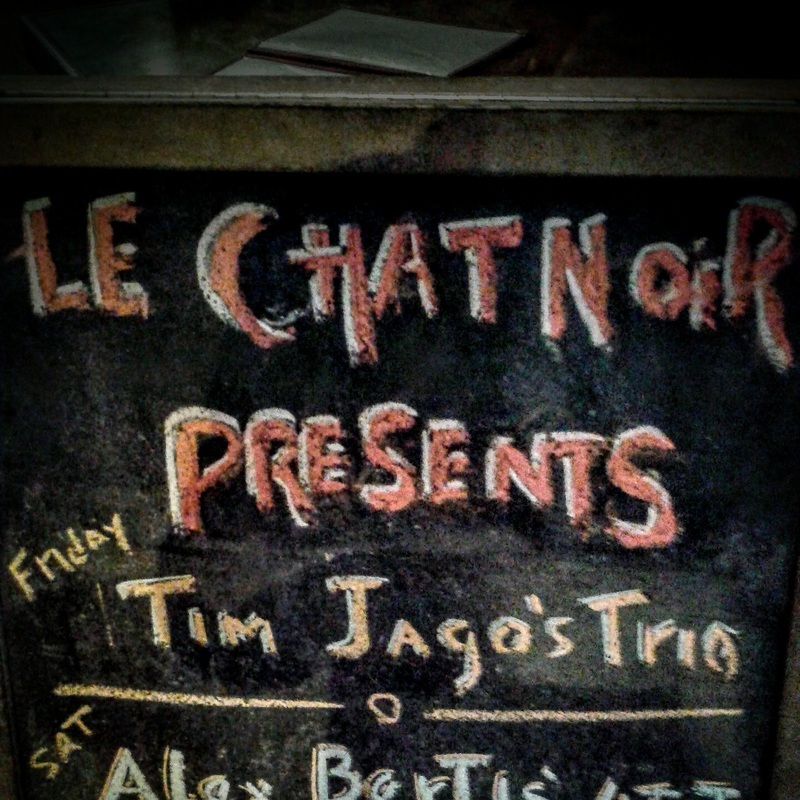 Feb 24, '16 : Tim Jago Quartet. 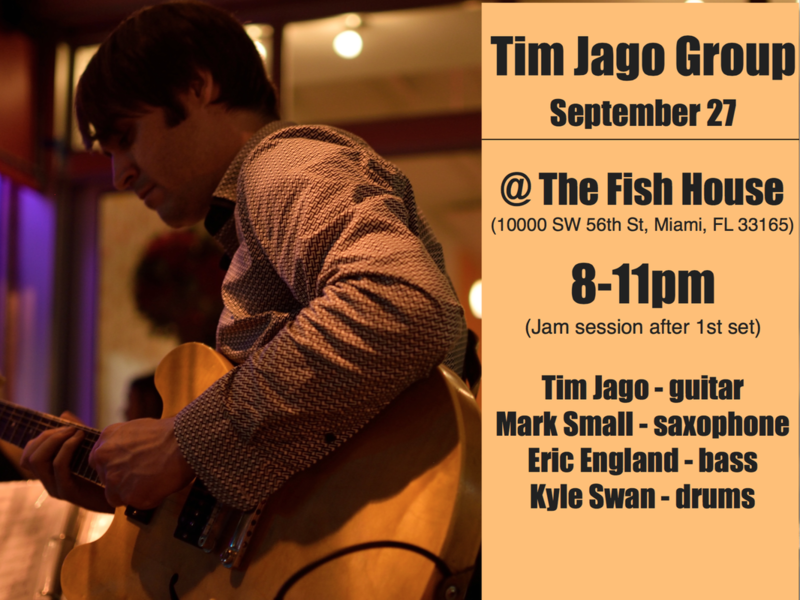 Playing original compositions and arrangements, followed by the jam session, at The Fish House, Miami, 8 - 11pm. With David Leon - alto saxophone, Eric England - bass, and David Chiverton - drums. 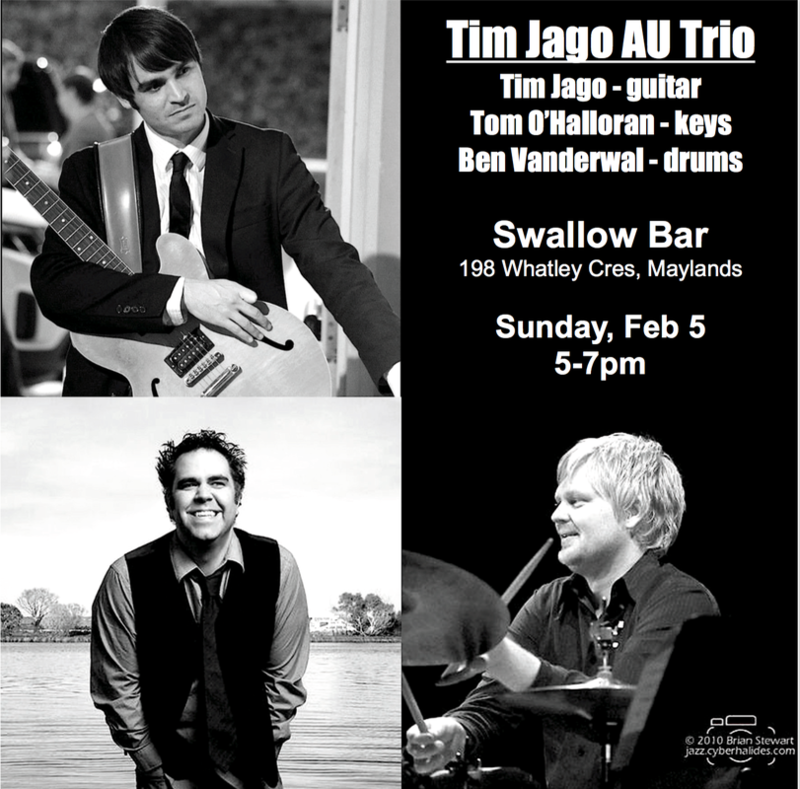 Feb 9, '16 : Tim Jago Quartet. 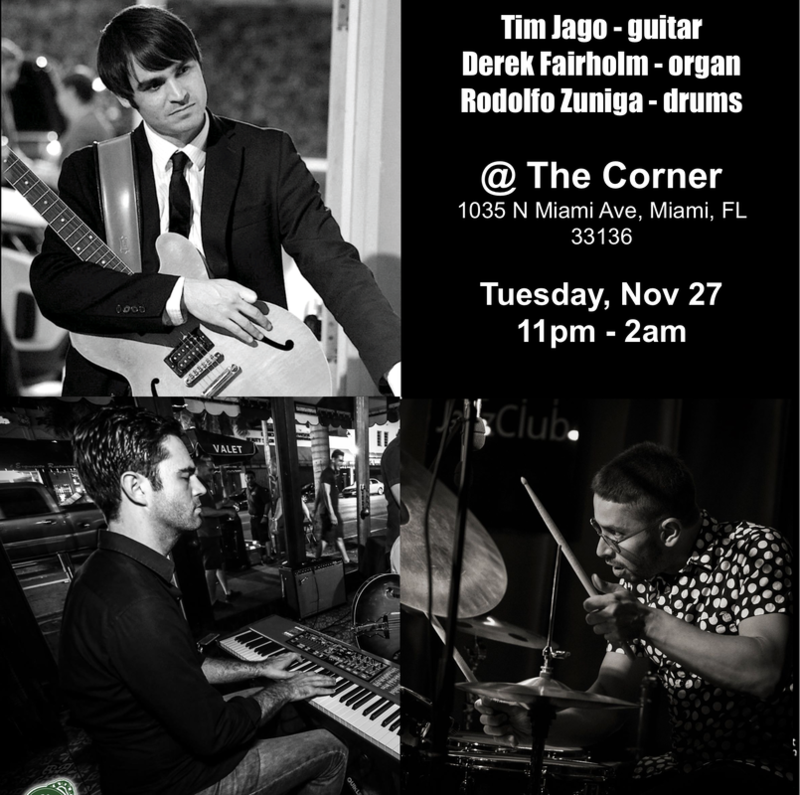 Playing original compositions and arrangements at The Corner, Downtown Miami, from 10:45pm - late. 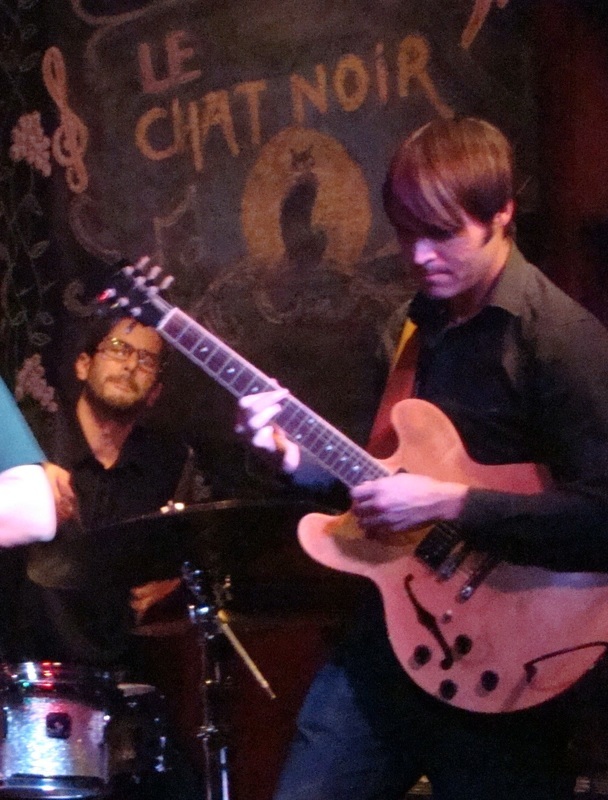 With Derek Fairholm - keys, Rodolfo Zuniga - drums, and Brian Tate - bass. 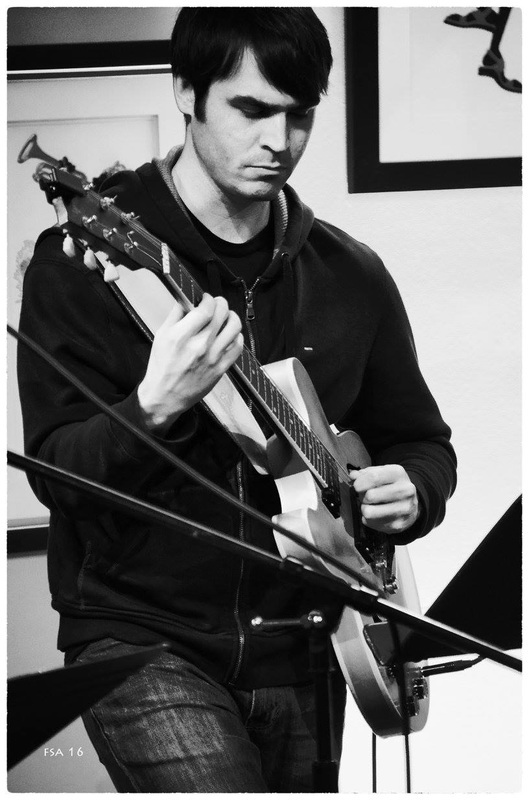 Feb 7, '16 : Kenneth Jimenez Circles Band, featuring Tim Jago. 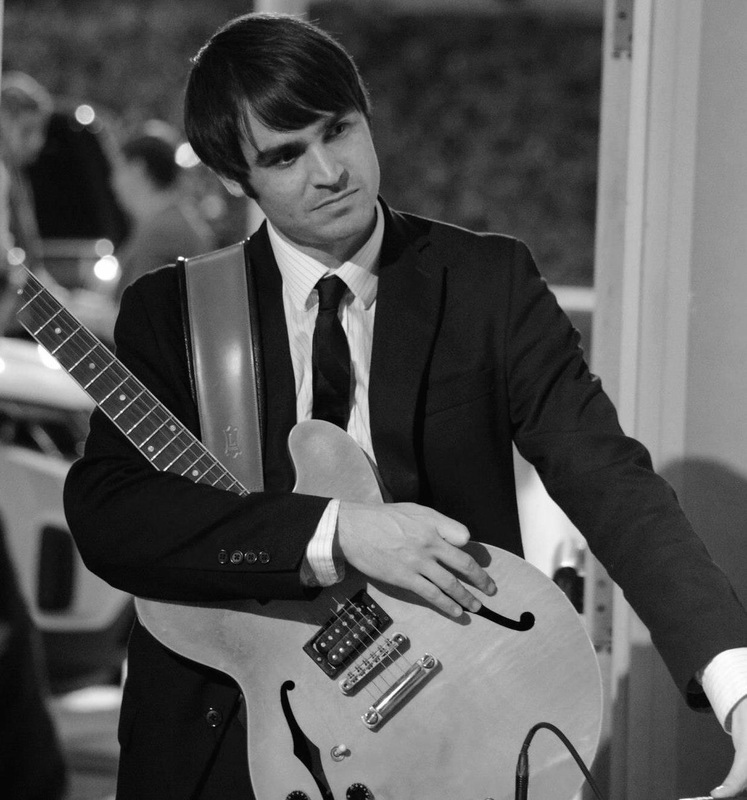 Playing Tim Jago's arrangements and original compositions. 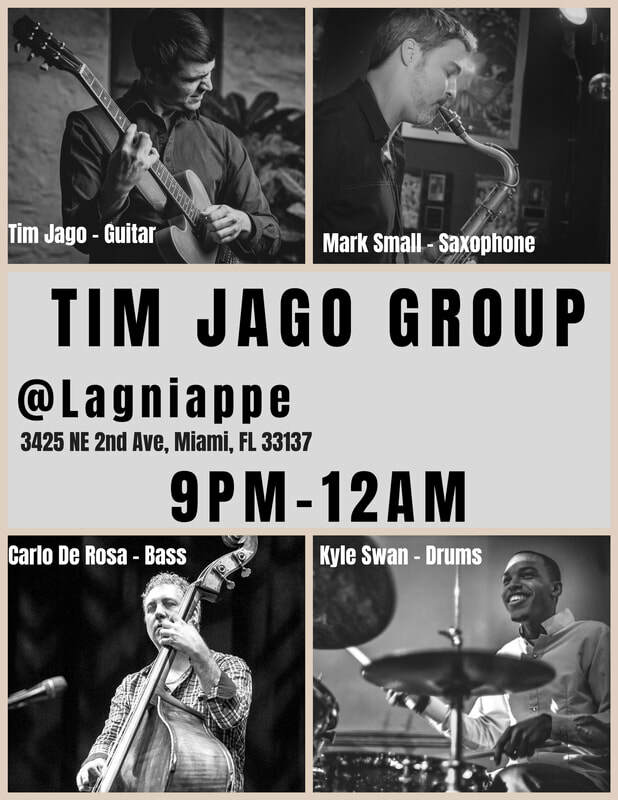 At Lagniappe, Midtown Miami, 9pm - 12am. Jan 8, '16 : A rare occasion for the original NU-JIVE 5 line-up, performing at Fat Cat, NYC. Dec 18, '15 : Preview release for great trumpet player/ composer Chris Klaxton's 2nd album, Collage​, in Portsmouth, New Hampshire, with a fine group of musicians. Oct 18 - 20, '15 : In New Orleans for a few days, playing gigs with old friends. There is something seriously special about this place. Oct 17, '15 : Playing trio to present some suitable de-rrangements of jazz standards and original compositions @ The Globe Cafe, Miracle Mile Coral Gables, Miami, Florida - accompanied by Rodolfo Zuniga- drums and Josh Allen- bass.